The buckeye (Aesculus californica) is a deciduous tree, low and broad in stature, that is endemic to California. 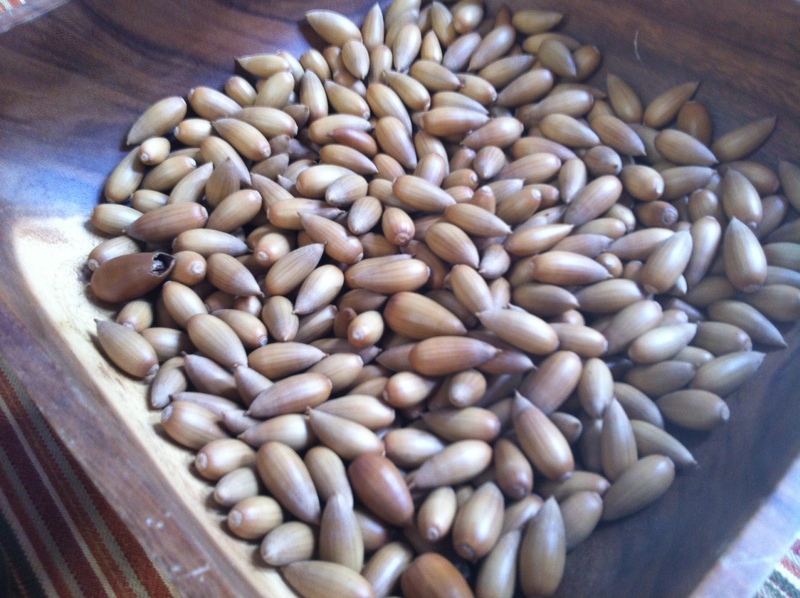 Every year these trees extend their gratitude by offering up a harvest of enormous size nuts. The species is a vital part of the California ecosystem and ever so worthy of our attention. Some even believe that tending the buckeyes is a responsibility passed on to us by the native people, who for the past few thousand years have been tending California’s buckeye groves. Buckeyes do very well in open forests and savannas, especially in places where fires have been allowed to burn. However, on unburned lands buckeyes are often seen to be in poor health. Where forests are overgrown and acidified the buckeyes are experiencing serious health problems, including stem failure, canopy dieback, and any numbers of leaf blights including anthracnose and sudden oak death. One of the first symptoms of ill health in buckeyes is the early seasonal onset of leaf senescence. Several years ago an astute friend of mine began noticing that for several years the buckeyes near her home had been losing their leaves earlier than usual. She contacted me about the problem and I suggested we try fire mimicry, the same treatments that I’ve been using on the oaks. After four years of ongoing treatment here are the results . . .